We like to think that #teampeony is a little bit different in the fact that we don’t just offer one single stand alone service, we instead bring together a range of talented creatives to help save you the stress and running around to multiple vendors when planning the key elements of your wedding. We’re based in Sydney but love to travel – we service just about all of NSW including the South Coast and Southern Highlands, Newcastle and Hunter Valley regions, Blue Mountains and anywhere in between. 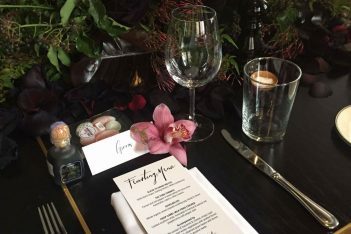 We’ve been known to travel as far as Orange, Dubbo, Bathurst and even Millamolong, so if you are planning a rural wedding why not include My Little Peony in your celebrations? ‘Peony’ our vintage caravan bar also makes a great addition to any outdoor ceremony or celebration. Custom built to replicate the style and grace of a 1950’s bondwood caravan she has been fitted out with bar fridges, sinks, hot and cold running water, Tasmanian oak benches, a velvet lounge and LED lighting! Packages start from $200 – $250 per hour depending on location and number of guests. All hire packages include RSA qualified staff, glassware hire (Champagne, white wine, red wine and water tumblers), 2 x trestle tables, 4 x glass drink dispensers, ice, drink garnish (think lemons, limes and strawberries), straws, napkins, plastic cups (for the kids), bar signage, bar stools, lighting, all set up and pack up and full use of Peony the vintage caravan bar for your professional wedding photos! Our floral and event styling services are also available with or without Peony the vintage caravan bar. So if you’ve got a vision for your big day why not let our team of talented and hardworking creatives bring it to life in your own unique way. For a personalised quote or to check our availability get in touch. Three words that describe you? Organised, creative and workaholic. #1 dance-floor song request I wanna dance with somebody - Whitney! Fav thing about your job? The creativity each unique event brief brings with it. Last meal on earth? Cheese pizza? Three things you'd take to a deserted island? Our sausage dogs Abby + Frank, Flower seeds and a cow for cheese of course! We are a cool, creative crew of photographers based out of Sydney. 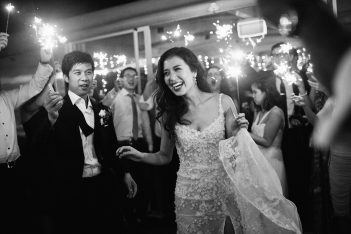 Our style is candid and reactionary, we live to capture those intimate and exciting moments of your day. Our photography pursues life’s honesty, and love’s purity. We are drawn to the connection between our subjects, and the stories that unfold from day to day.